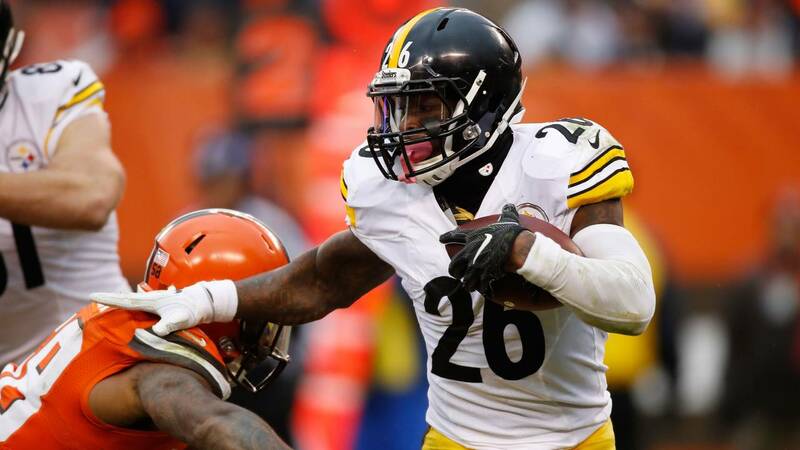 The Pittsburgh Steelers have used the franchise tag on running back Le'Veon Bell for the second straight year. The expected move was first reported by the NFL Network and then confirmed by the Pittsburgh Post-Gazette about an hour ahead of Tuesday's 4 p.m. ET deadline for teams to issue tags. Bell, 26, told ESPN on Monday that he remains optimistic he and the team can work out a long-term deal by the July 16 deadline to do so. If no deal is reached by then, he would have to play the 2018 season under the one-year tender once again. Last season, Bell sat out the offseason workouts before signing his franchise tag a week before the season began. He made $12.1 base salary in 2017. If he does so again this season, he would receive $14.5 million. However, he told ESPN he was serious when he threatened to retire from football unless he gets a contract offer better than the three-year, $42 million deal he turned down last year. "I just have to decide if I'm going to play when the time comes," Bell told ESPN. During Super Bowl week, Bell hinted that it might take more than $30 million guaranteed to get a long-term deal done with the Steelers. He ran for 1,291 yards and a career-high nine touchdowns last season to go along with a personal-best 85 passes for 655 yards and two more touchdowns. Bell took to Twitter Monday night to declare his love for the city of Pittsburgh and that he wants to say a Steeler for life. "Pittsburgh: the city that took in a 21-year old kid from small-town Ohio, the city I battled thru adversity in, the city that I became a man in," Bell wrote in the tweet. "I love everything about being a Pittsburgh Steeler, and I want nothing more than to finish the rest of my career in Pitt! #26Forever."